Civil servants in the eastern city of Nanjing will lose their privileged access to medical treatment next week, making it the last city in the Yangtze River Delta to implement a reform launched by the central government 14 years ago in an attempt to assuage public concerns about the unfair benefits given to officials. The "free medical treatment" scheme, introduced in the early 1950s, allowed civil servants to receive assistance at public hospitals for little or no cost. Unlike the employees of businesses, whose medical insurance contributions are deducted from their salaries each month, officials didn't have to spend anything. Ordinary urban residents on the mainland have to pay about a third of their medical bills, while farmers living in rural areas have to meet half of their hospital expenses. The central government said in 1998 that all civil servants should relinquish "free medical treatment" and instead join the basic medical insurance scheme used by the employees of urban businesses, making the same contributions and receiving the same level of benefits. However, local officials in a quarter of the mainland's 31 provinces, municipalities and autonomous regions, and more than 300,000 officials in central government departments, are still hanging on to their unfair benefits. Nanjing's 200,000 local officials will forfeit their "free medical treatment" cards next month and join the urban employees' basic medical insurance scheme, Modern Express reported following an announcement by the city government. Two per cent of each official's monthly income will be transferred to their insurance account and the department they work for will contribute another 9 per cent of their monthly income to the account. On the surface, the medical treatment that Nanjing officials receive will be no different from that given to ordinary employees, as claimed by the authorities. But a remark by a senior official paints a different picture. 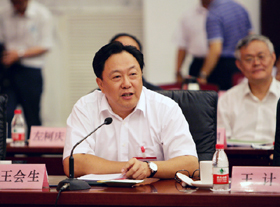 Chen Jianning , deputy director of Nanjing's human resources and social security bureau, was quoted as saying that besides the basic medical insurance scheme, officials were also entitled to join an additional medical insurance scheme, meaning that most of the money officials pay for medical treatment will be reimbursed. Officials in many other cities, including Beijing and Tianjin , receive similar favourable treatment. One official from Beijing's municipal human resources and social security bureau who tried to explain the rationale behind the arrangement said it was designed to ensure that civil servants' medical benefits were not reduced under the reform. The "free medical treatment" enjoyed by government officials has long been criticised by analysts as an unfair privilege. Some officials have even been rumoured to have used their "free medical treatment" cards to acquire free medicine for relatives. The average medical expenses of a Beijing resident in 2009 were 4,200 yuan (HK$5,150), but the average expenses of a Beijing official were triple that. The capital implemented the reform of officials' medical insurance at the start of this year. In Guangzhou, city authorities budgeted 1.4 billion yuan this year for the medical expenses for officials, but only allocated 615 million yuan to subsidise hospital visits by 2.1 million farmers, Yangcheng Evening News reported in June. Civil service jobs, known as "iron rice bowls" on the mainland, have long been highly sought after because they offer stable, long-term employment, better medical insurance and higher pensions. Officials get pensions at least twice as big as other retired workers in their city, without having to make any contributions to a pension scheme at all. In some affluent cities, a thousand applicants can compete for one civil service job. With reform of officials' medical insurance benefits being introduced sluggishly and half-heartedly and pension reform stalled, the "iron rice bowl" is likely to maintain its allure for some time to come.